Vox Cantoris: Basilian Congregation of St. Basil in Toronto pays out once again! Basilian Congregation of St. Basil in Toronto pays out once again! There is sad joke in Toronto that ends with, "bazillions" when asked how much money this decaying congregation has paid out to the victims of sexual and physical abuse at the hands of some of its perverted and wretched priests. There's another one about "boyzillians," but we'll set that aside for now. Well, pay out again, they must. "Goodness, Discipline and Knowledge." That motto from the Psalms is a betrayal and a lie. When the last one turns out the lights, it won't be a bad thing. Frankly, if I were the bishop in any diocese with these scumbags, I would send them packing and confiscate their holdings. 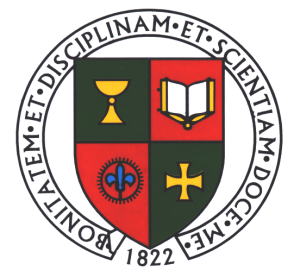 A $4.25-million lawsuit filed against a former St. Charles College teacher, the Basilian Fathers of Toronto and the Diocese of Sault Ste. Marie has been settled. A now 67-year-old man brought the case against the Roman Catholic Episcopal Corporation of Sault Ste. Marie, the Basilians and the now-deceased William Hodgson Marshall. It dismissed without costs at a Superior Court of Justice pre-trial meeting. Had the case not been settled, it would have started Monday at the Sudbury Courthouse, said Rob Talach of Beckett Litigation Lawyers in London, Ont. "The family was involved," he said in an interview. "There was a lot of fatigue, psychological fatigue. It was resolved at the pre-trial." I had a close brush with these predators as a child. Mercifully, I was sent to a secular high school. However, my Catholic elementary school was shear hell. I have to wonder to what extent the whole educational culture in that region was influenced by these bad actors. Do you know if the Congregation of St. Basil (C.S.B) is affiliated with the Order of St. Basil the Great (OSBM)? I hope not, but you know better the state of religious life in Canada. Yesterday (November 12) was the Feast of St. Josaphat, the first Ukrainian Greek Catholic bishop-martyr. Amongst other things, he revived the traditional Rule of St. Basil the Great when religious life in Ukraine was in a bad state. O Holy Father Basil the Great, pray to God for us sinners! O Holy Hieromartyr Josaphat, pray to God for us sinners!